Strung along Sarasota’s coastline are a series of barrier islands, or “keys.” With the Gulf of Mexico on one side and Sarasota Bay on the other, they’re idyllic spots to vacation—and live. They’re home to some of the region’s most magnificent residences, along with vacation lodgings that range from low-key cottages to modern luxury hotels. With their miles of beaches and all sorts of restaurants, shops and diversions, they’re the perfect place to while away a few hours—or an entire day. Get set to explore and enjoy with our guide to spending one perfect day on four of our beautiful islands. 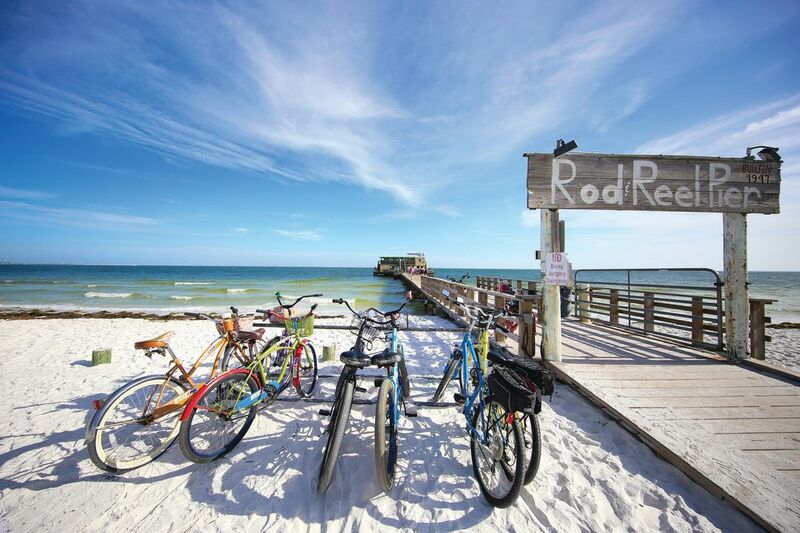 Three islands—Bradenton Beach, Holmes Beach and Anna Maria, from south to north—are strung along seven miles of the sparkling Gulf of Mexico, making up the mellow community we call Anna Maria. That natural splendor coexists with manmade marvels—seaside shops, old-time Florida motels, hidden resorts, four-star restaurants and scenic fishing piers. Perched at the end of a wooden pier, this Florida-funky seafood shack serves up a wicked seafood omelet, stuffed to bursting with shrimp, scallops, crab and cheese. And you can feast your eyes on the picture-postcard spectacle of the Gulf on a Florida morning. 875 North Shore Drive, Anna Maria, (941) 778-1885. Walk on the wild side at the Coquina Baywalk on the Leffis Key Preserve in Bradenton Beach. Paths and boardwalks meander through lagoons, mangrove forests and salt marshes, all offering stunning vistas of Sarasota Bay and the Gulf of Mexico. Observation platforms and informative signs describe the flora and fauna: a wonderland of dune sunflowers, sea grapes, mangroves, wading birds and marine life. 3.2 miles south of the Anna Maria Causeway on East Bay Drive, just south of Bradenton Beach. The Artists’ Guild of Anna Maria Island’s gallery boasts fine art, crafts and greeting cards by more than 100 regional artists. You’ll see paintings, watercolors, prints, functional and decorative pottery, jewelry, photography and more. Many works depict island themes. If you’re looking for an artful souvenir of this beautiful island, this is where to find it. 5414 Marina Drive, Holmes Beach, (941) 778-6694, amiartistsguildgallery.com. Wander through aisles of antiques, antiquities, art and greeting cards by local artists, beach stuff, tourist kitsch, shabby chic furniture, used books and vintage treasures. All that, and a bakery and café, too. 9807 Gulf Drive, Anna Maria, (941) 778-3170; ginnysandjanees.com. Two blocks of eclectic souvenir shops, art boutiques, bars and restaurants. Stop at Island Bazaar for beach gear and souvenirs. Back Alley Treasures features work by local artists, repurposed furniture, women’s clothing—and a café with craft beers and wine. 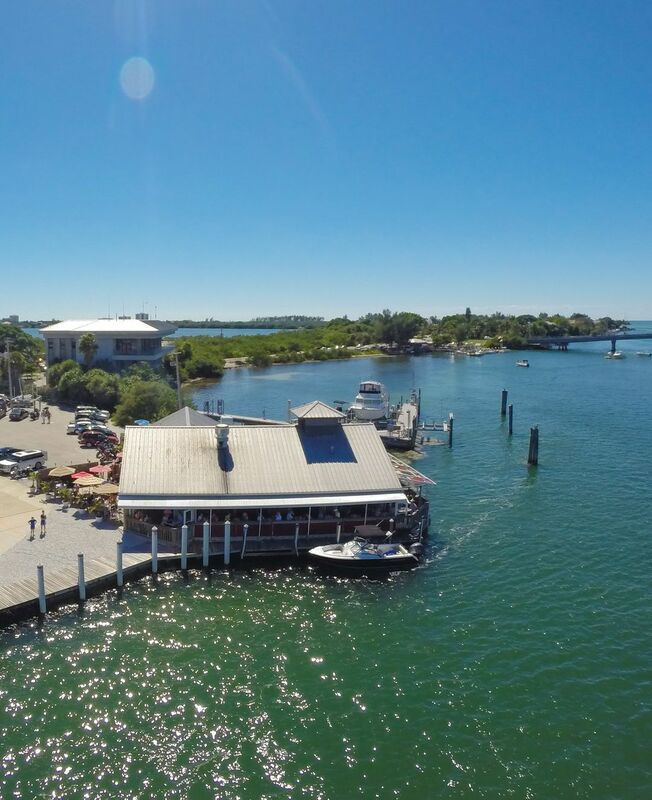 Pop into the Anna Maria Oyster Bar for a refreshing sip. If you’ve brought your fishing pole, the Historic Bridge Street Pier offers endless opportunities. Gulf Drive North and Bridge Street, Bradenton Beach, visitbridgestreet.com. Hop aboard Captain Ben Webb’s 26-foot catamaran for a tour of the Intracoastal Waterway (where pods of dolphins frolic), the grass flats (where manatees are fond of grazing) and, if it’s low tide, the exposed mud flats (where wading birds feed). 5325 Marina Drive, Holmes Beach, (941) 281-3461, amidolphintours.com. With front row seats on the Gulf, the Beach House is the place to be for sunset sips. The outdoor deck, bar and sunken lounge keep the temperature ideal with high-tech rotating louvers, misters and heaters. This four-star restaurant awaits you smack on the sandy beach. 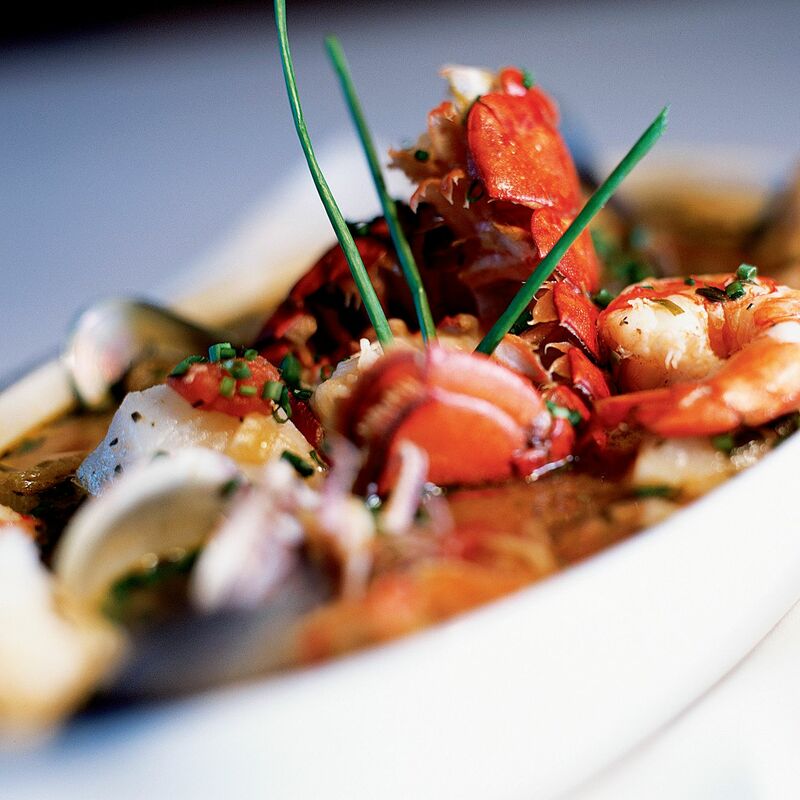 Chef/proprietor Sean Murphy’s classics include seafood-rich bouillabaisse, Floribbean grouper and pan-crisped duckling. Murphy’s inventive mind is always cooking up something new. Salute the twinkling stars with nightcaps at the tiki bar (the Nick’s Nana Nana Pie, with vodka, banana liquor, creme de cocoa and Oasis ice cream mix is a great way to drink your dessert), where you can watch night birds winging by. Harrington House Beachfront Bed & Breakfast: A charming bed-and-breakfast directly on the beach. 5626 Gulf Drive, Holmes Beach, (941) 778-5444, harringtonhouse.com. BridgeWalk a Landmark Resort: Located on Historic Bridge Street with 28 spacious Key West-style accommodations. 100 Bridge St., Bradenton Beach, (941) 779-2545, silverresorts.com. Bungalow Beach Resort: These 15 cedar bungalows, right on the Gulf of Mexico, offer old-Florida charm with upscale amenities. 2000 Gulf Drive N., Bradenton Beach, (941) 778-3600, bungalowbeach.com. Parents and kids flock to Lido Public Beach for its family-friendly amenities, including an Olympic-sized pool, concession stand, covered picnic area, playground, and showers and dressing rooms. But you’re there for the sunrise—and the tranquility that comes with an almost empty beach. Early morning is the best time for close encounters with nature. Admire the water ballet of dolphins and manatees and water birds spearfishing for their breakfast. There’s nothing like a brisk beach walk to work up an appetite. Breakfast at Harry’s is a LBK tradition. 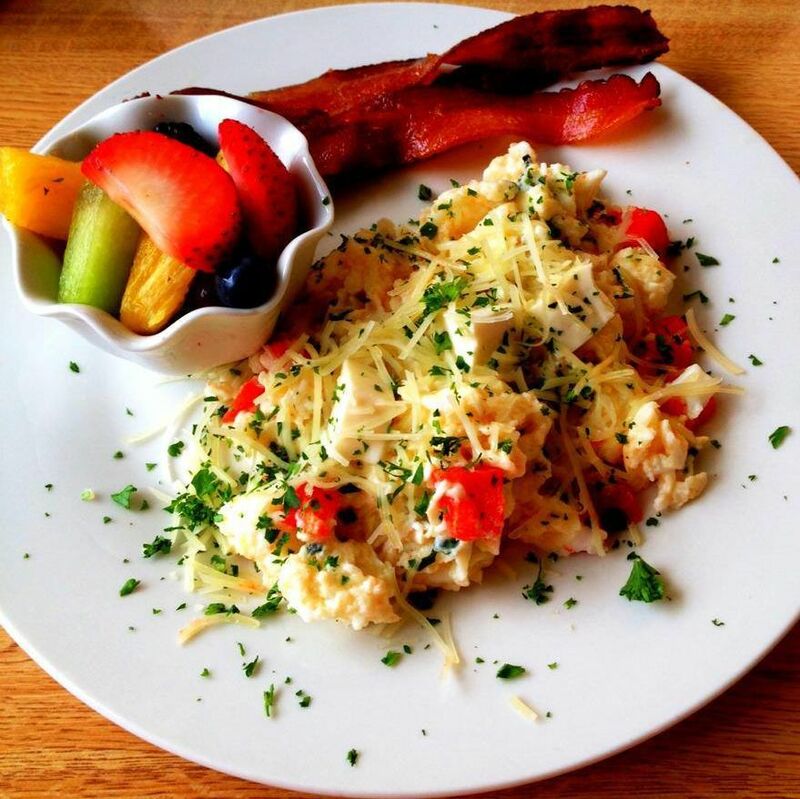 Start with a Bacon Bloody Mary and then dig into the Low Country shrimp and grits or eggs Benedict. Burn off those cheese grits with a stroll around the Circle, an enclave of galleries, boutiques, outdoor cafes and restaurants. St. Armands sparkles with jewelry shops, including McCarver & Moser (482 John Ringling Blvd. ), Armel Jewelers (22 N. Boulevard of Presidents); and Jewelry by Cole (7 Boulevard of Presidents). Other must-visit spots include Dream Weaver with fashions by more than 50 top American fiber artists and designers; (364 St. Armands Circle); Lilly Pulitzer (443A John Ringling Blvd. ); and Tervis (319 John Ringling Blvd.). 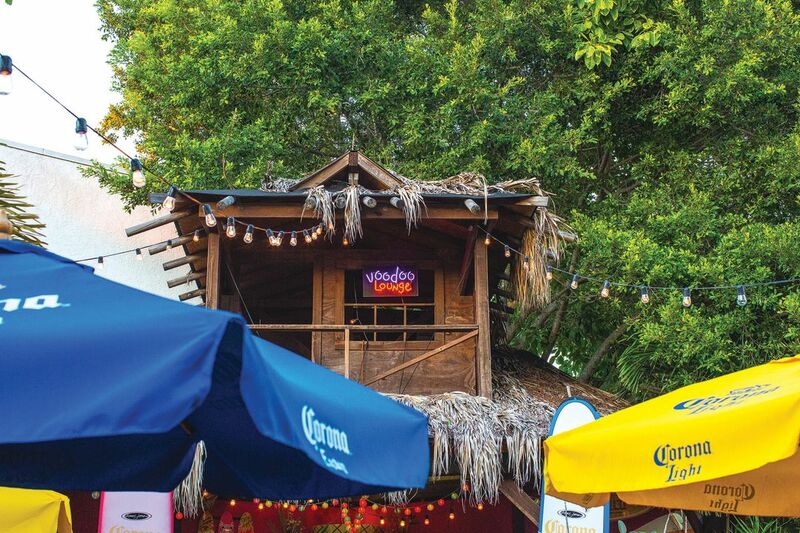 This quintessential Florida seafood shack overlooks New Pass and the intricate web of life where the waters of the Gulf and Sarasota Bay mingle. Perch on the outside deck with a frosty mug and feast your eyes on nature’s grand drama. While you’re at it, enjoy a literal feast of Florida fixins’ like conch fritters, shrimp poppers, steamed clams, raw oysters—and the beloved grouper sandwich. This full-service spa and fashion emporium is a sweet retreat from the daily grind. Try the bamboo fusion massage for an 80-minute indulgence. Your skin and musculature will be caressed with heated bamboo shoots that relax soreness and promote well-being. Paradise, it turns out, isn’t lost at all. This 32-acre bayside park is an idyllic haven of native flora and fauna—and home to one of the area’s finest butterfly gardens. Day’s end is the perfect, placid time for a meandering stroll on raised boardwalks and easy hiking trails. 5550 Gulf of Mexico Drive, Longboat Key. Making its home in a charming historic cottage, this restaurant is celebrated for award-winning, chef-driven cuisine. Chef/owner Raymond Arpke always offers up new culinary surprises, or go with house favorites like the roast duckling or pistachio-encrusted snapper. Arpke’s training is classical; his zeal for fresh, seasonal food knows no bounds. The Haye Loft upstairs offers light bites, dazzling desserts, a dynamic bar scene and live jazz. For a sizzling salsa beat, head to 15 South Ristorante. The air is electric with Latin, Caribbean and jazz music nearly every night. Sit outside on the balcony overlooking St. Armands Circle, salute the stars with a glass of Calvados, and think back on your amazing day. Lido Beach Resort: Smack dab on the powdery white sands of the Gulf, Lido Beach Resort offers accommodations, dining and recreational opportunities. 700 Benjamin Franklin Drive, (941) 388-2161, lidobeachresort.com. Rolling Wave Beach Cottages: Eight no-nonsense Gulf-side cottages—laid-back, old-time Florida-style. 6351 Gulf of Mexico Drive, (941) 383-1323, rollingwaves.com. 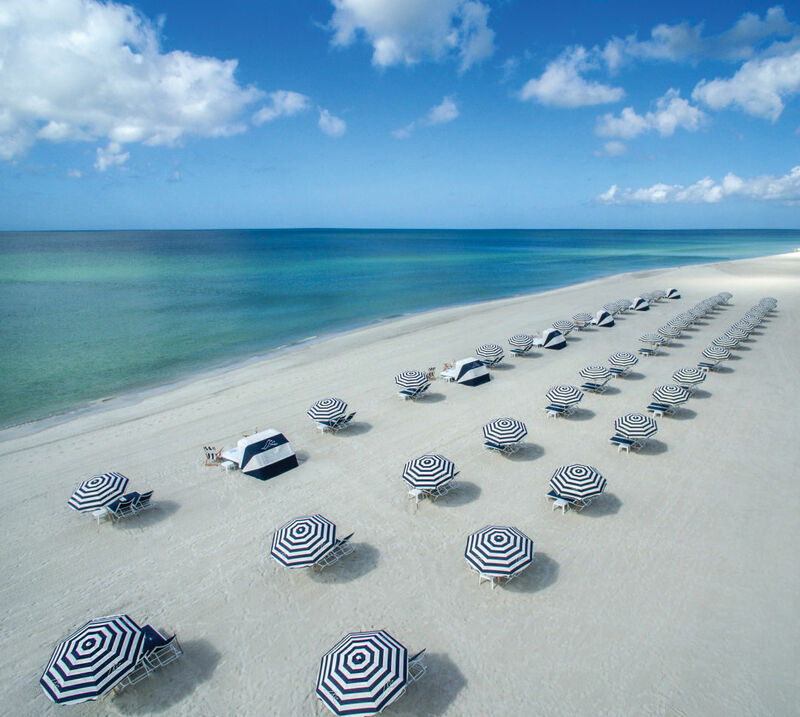 The Resort at Longboat Key: 218 luxurious rooms and suites with breathtaking views of a lagoon, the award-winning golf course or the Gulf of Mexico. Spa, tennis, golf, fine dining—it’s all here. 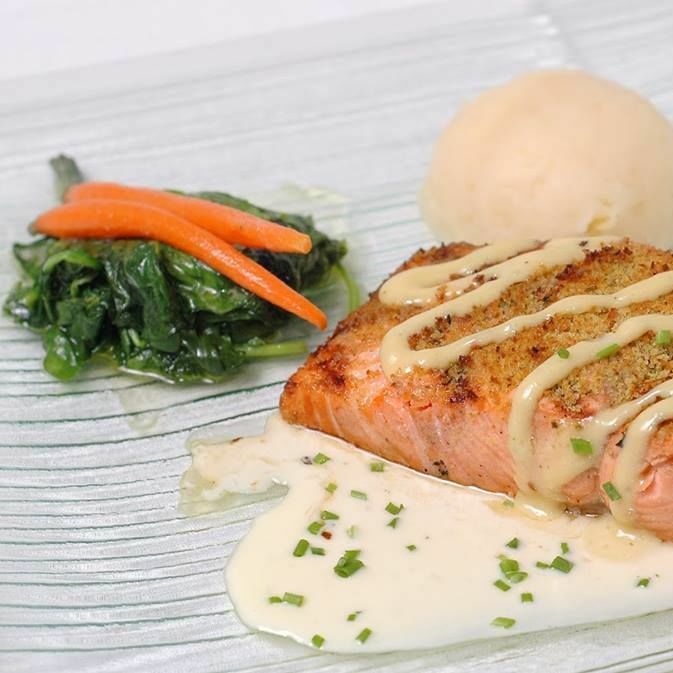 220 Sands Point Road, (941) 383-8821, longboatkeyclub.com. Get high as a kite, parasailing 600 feet above the island. The view is magnificent, and Parasail Siesta’s captains have a combined 68 years of parasailing experience; all are licensed by the United States Coast Guard. (941) 346-8200, parasailsiesta.com. After coming down to earth, load up on carbs at this charming café with indoor and outdoor seating. Order the usual omelets and griddlecakes, or boldly go where Elvis has gone before. Yep. “Elvis’s Fried Chicken Plate” will fill you up with buttermilk-fried chicken and two fried eggs on a gravy-laden biscuit. Prefer to eat healthy? Try the avocado on toast with poached eggs and bacon. If you’re feeling the itch for Florida kitsch, this is the place to scratch it. Along with rubber sharks, sand dollars and starfish, you’ll find all manner of Siesta Key-themed merch, from T-shirts to shot glasses to key chains. Trendy swimwear too, by Body Glove, Jantzen, Life is Good, and more. The sun is high, and it’s time to fill your picnic basket at Morton’s, the spot for gourmet groceries, artisanal breads and pastries, wine and beer, and mouth watering meals to go. The hot deli satisfies with pressed Cuban sandwiches, barbecued ribs, pulled pork and rotisserie chicken; the cold deli boasts a wholesome selection of salads, subs, wraps and sandwiches. 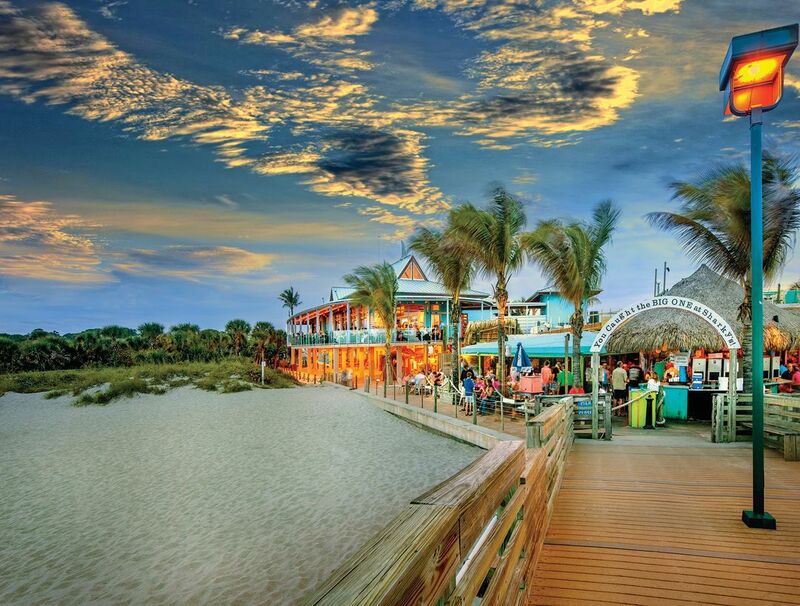 Every Siesta beach has a personality all its own. If you want amenities and people-watching, Siesta Key Public Beach has a full-service food and beverage concession, bathrooms, covered picnic pavilions, volleyball courts and lifeguards. If you prefer something quieter, several beach access points along Ocean Avenue have parking, just a few steps from Siesta Village. Turtle Beach, at southernmost Siesta Key, is less crowded and has picnic and bathroom facilities. After all that sun and sweat, it’s time to chill out. An aromatherapy massage will do nicely. Ask massage therapist and owner Connie Lewis for a treatment room with an attached tropical garden. Then lie down, breathe in the essential oils, and let the experience unfold. 5138 Ocean Blvd., Sarasota, (941) 349-4833; massageexperiencesk.com. It’s an ancient Siesta Key tradition to imbibe at least one daiquiri at this popular restaurant and raw bar, which offers a spectrum of liquid delights. If your beloved is by your side, we suggest the Voodoo Love Shake. It’s an amorous mix of coconut rum, pineapple juice, coffee liqueur and fresh banana, sweetly topped with amaretto. 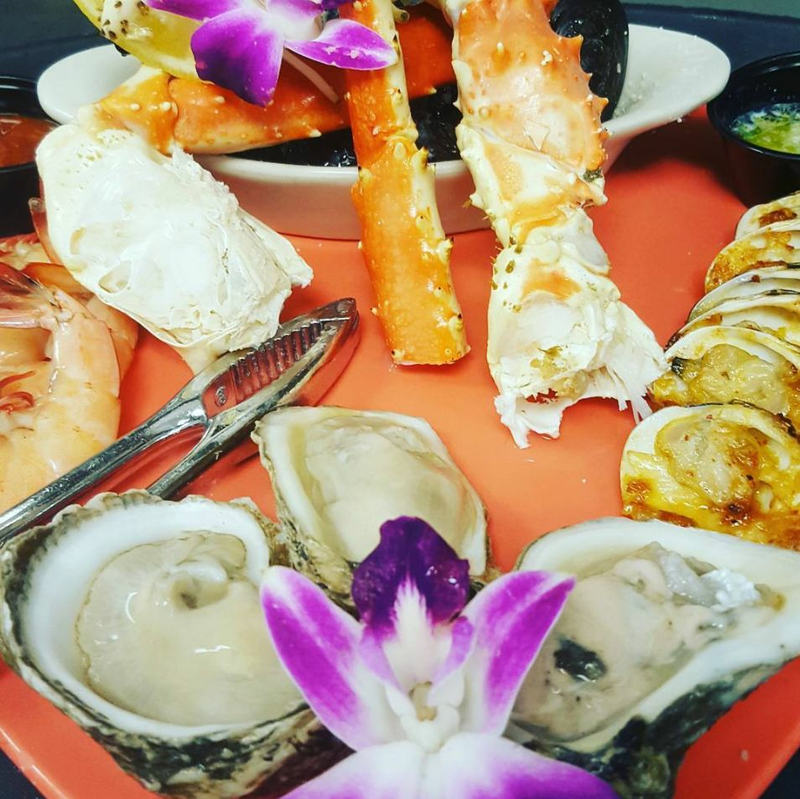 Enjoy a four-star menu and a glimpse of paradise on Little Sarasota Bay. With sunset colors painting the sky and sea birds and pleasure boats floating downstream, it’s like dining inside a Renoir. Only way tastier. Come out of your shell at this laid-back hangout. Knowing by locals as “SKOB,” the joint rocks until midnight (2 a.m. on Fridays and Saturdays) with live music. And the casual fare hits a high note, too. Turtle Beach Resort and Inn: Overlooking Little Sarasota Bay, this is a serene nest of Caribbean-style cottages. Each has its own décor theme—Victorian, Key West and Southwest—the perfect backdrop for your own romantic movie. 9049 Midnight Pass Road, Sarasota, (941) 349-4554, turtlebeachresort.com Tropical Breeze Inn: Steps from the beach and Siesta Key Village with lush landscaping, pools and an assortment of room, suites and apartments. 140 Columbus Blvd., Siesta Key, (941) 349-1125, tropicalbreezeinn.com The Cottages at Siesta Key: Old Florida charm 100 yards from the beach, with 13 units ranging from studios to a four-bedroom house. 1105 Point of Rocks Road, Sarasota, (888) 622-6229, cottagesatsiestakey.com. Chef/owner Alan Laskowski is a favorite with foodies, thanks to his fresh global cuisine. We recommend the Blue Island egg sandwich. Laslowski packs this delicacy with smoked ham and creamy Gruyère cheese, grills it on fresh sourdough bread, and tops it with a basted egg. Yum! Logan River Tours will take you on an hour-long riverboat expedition along an unspoiled, seven-mile stretch of beautiful, scenic Myakka River. As tour guides Keith and Diane Logan share their knowledge of Florida plant and wildlife, your covered pontoon boat will cruise through pine flat woods, verdant marshes, shady hammocks and sun-dappled prairies. And you’ll spot alligators, herons, anhinga, turtles, osprey, egrets and an occasional eagle. 5000 E. Venice Ave., Venice. (941) 875-2070. loganrivertours.com. 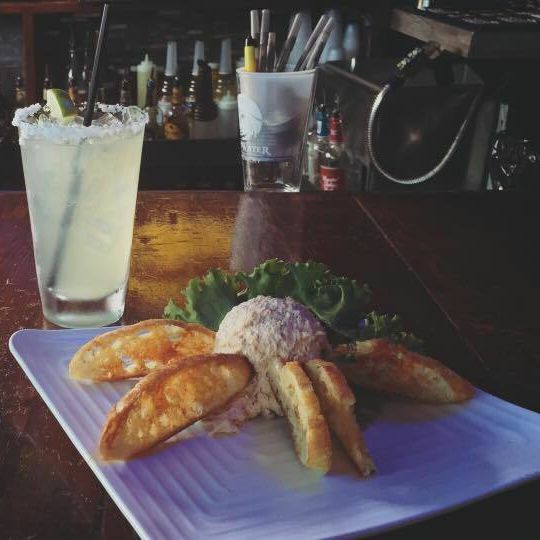 Kick back at this riverfront restaurant and dig into its bounty of Old Florida charm, live music and downhome food. We’re talking legendary barbecue, legal libations and some smoking-hot musical talent. Go native with the fried gator bites, catfish, shrimp Po’ Boys and smoked frog legs. Save room for Key lime tart, ya hear? 5000 E. Venice Ave., Venice, (941) 485-7221, snookhaven.com. Large-format photographer Clyde Butcher is acclaimed for his exquisite black-and-white images of scenes of astonishing beauty, from the lush Florida Everglades to Cuba’s misty, primeval vistas to the magnificent desolation of the Grand Canyon. If you can’t afford originals, the gallery also offers prints, books and cards. 237 Warfield Ave., Venice, (941) 486-0811, clydebutcher.com. Just a few highlights of this friendly little downtown: Venice Trading Company showcases the creations of indigenous artisans, including apparel, accessories, jewelry and home decor. (211 Miami Ave. W.). At the Venice Olive Oil Company, you’ll discover dipping dishes, pour spouts and sea salt grinders; lotions and skin creams; and, of course, abundant olive oil itself. (101 W. Venice Ave.) Stock up on resort and beachwear at SunBug (141 W. Venice Ave.); and fine skincare lotions and handcrafted jewelry at Cleopatra’s Bath & Body Boutique (241 W. Venice Ave.). You’ll also find plenty of cafés and eateries. 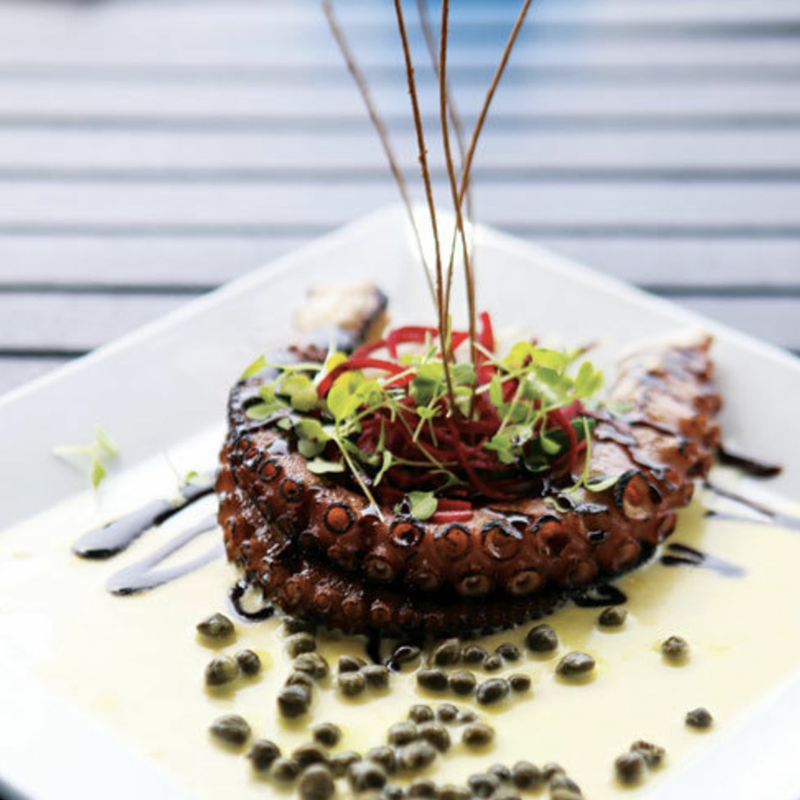 Just a few shakes of a tailfin from Sharky’s on the Pier, Fins combines an upscale ambiance with an inventive menu of fine cuisine—including exceptional seafood—and award-winning wine list. The outside deck boasts gorgeous views of the Gulf of Mexico and Venice Fishing Pier. Venice Theatre is one of the nation’s largest and most active community theaters. Its season is packed with comedies, dramas, Broadway musicals, intimate cabarets and edgy, alternative fare. 140 W. Tampa Ave., (941) 488-1115, venicestage.com. Banyan House: 1920s-era historic ambiance offering Old World charm with modern amenities, located five blocks from downtown Venice. Featuring suites with kitchenettes and one-bedroom apartments. 519 S. Harbor Drive, Venice, (941) 484-1385, banyanhouse.com Venice Beach Villas: Apartment-style accommodations located centrally between the beach and downtown shops and restaurants. 501 W. Venice Ave., Venice, (941) 488-1580, venicebeachvillas.com Beachcomber: Resort-style accommodations directly on the Gulf of Mexico. 720 Golden Beach Blvd., Venice, (941) 488-4237, beachcomberinvenice.com. 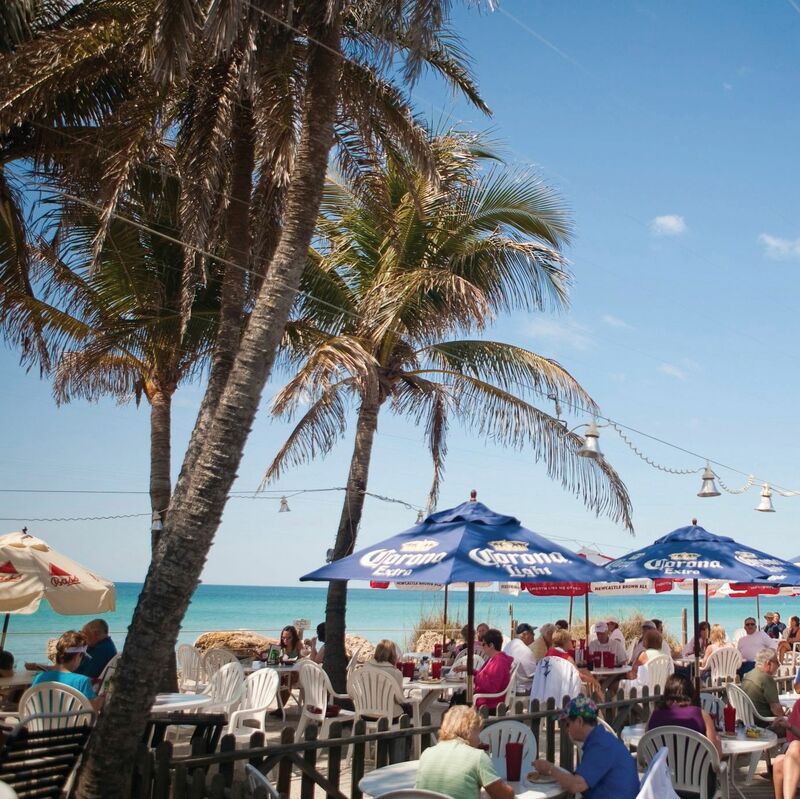 Eating on the second-story deck at Fins on Caspersen Beach in Venice will reward you with one of the best sand and Gulf views anywhere in Florida. Romantic, intimate and perched on the pretty Intracoastal water at the southern end of Siesta Key. 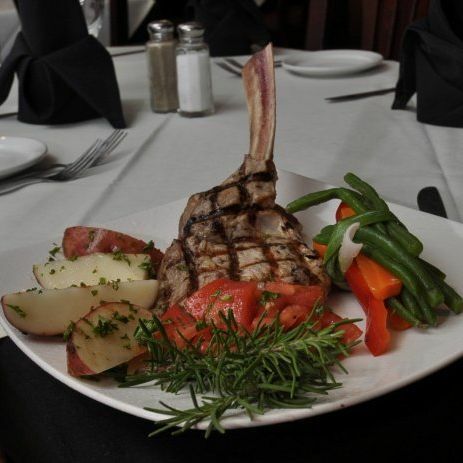 This cozy St. Armands bistro offers Italian specialties and wines. 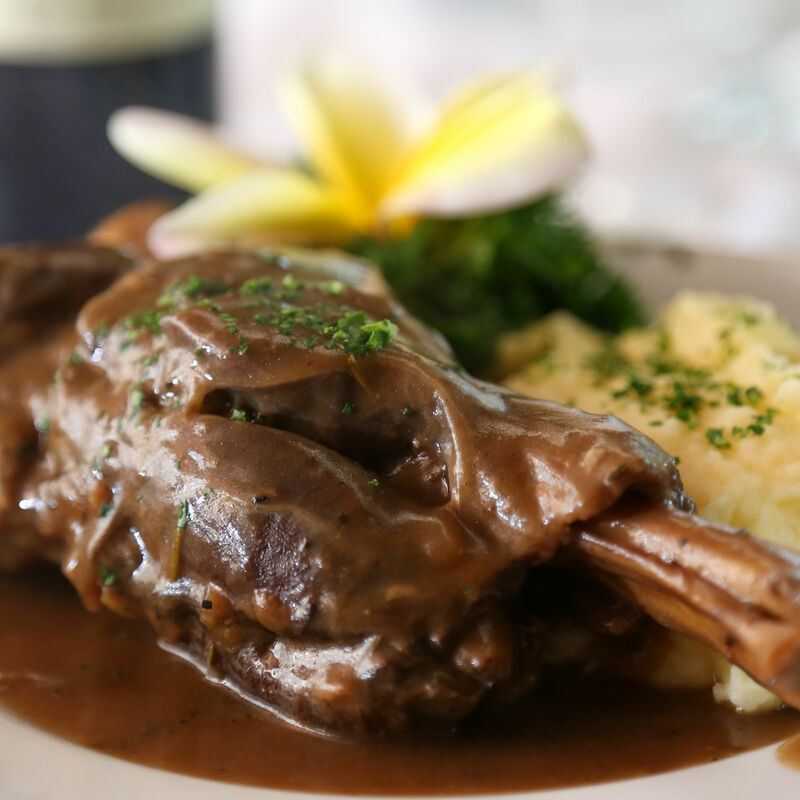 A Longboat Key institution and a mini gourmet empire, Harry’s offers coastal cuisine in its charming dining room, and also catering services, a corner store and a deli and wine shop. 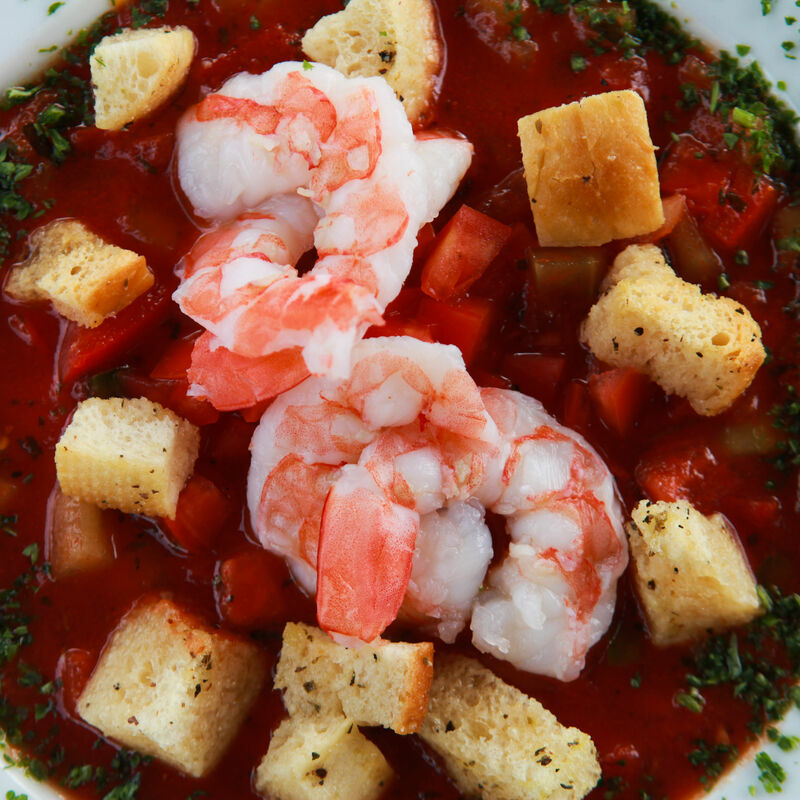 A fine dining destination set right on the Gulf of Mexico, this intimate, award-winning restaurant is known for showstoppers like Bistro Bouillabaisse and Death by Foie Gras. 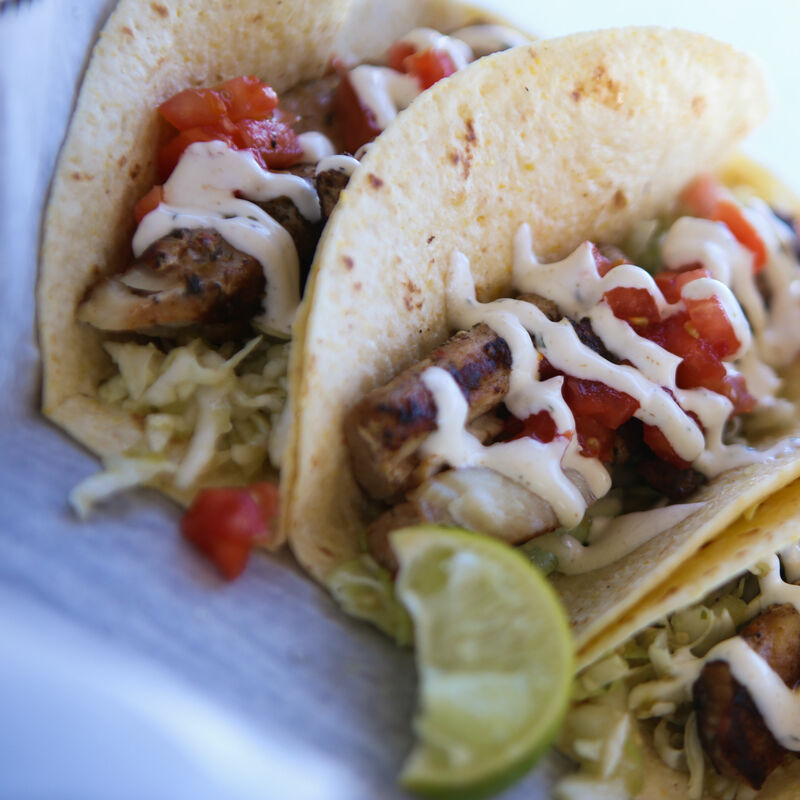 Panoramic Gulf views, grouper sandwiches and a bustling bar scene.